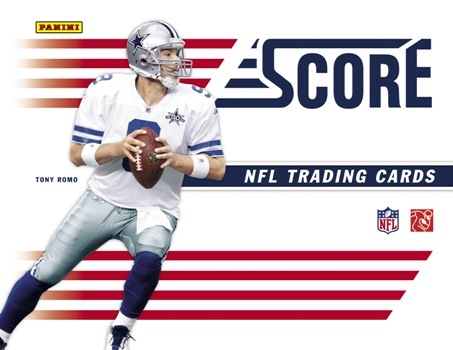 Good: The basic structure and low price make 2011 Score Football easy to collect. The base cards offer tons of stats and information. The short bios on the back are a nice touch. The large checklist makes it one of the most comprehensive football sets of the year. The low price tag even makes the lesser-known draft picks perfectly acceptable. Bad: This set has way too many nondescript parallels. I went through the box and initially missed several. Scorecard, in particular are a little too ninja-like in their markings to make for a purposeful parallel. Lots of the basic inserts look and feel more like base subsets rather than inserts. The white in the design is a little overpowering. The Bottom Line: At around $30 per box, it's hard to complain. 2011 Score Football offers a comprehensive preview of the season that was and the season that lies ahead. Although there's a slim chance at getting a major hit, collectors should be pleased to be able to rip a bunch of packs and sort through the stacks afterward. I love the feel of the cards. They're solid and the lack of gloss in the base cards is a throwback to simpler days of set building. Card backs give tons of information and the photography is solid. That said, thumbing through a stack almost left me snow blind. There's a lot of white on these cards. A lot. Although clean, shrinking the border thickness in half would have gone a long way at further emphasizing the photographs and making them easier on the eyes. All the major and minor NFL stars are here and so are the rookies. Usually getting a sixth round pick is a letdown. In a cheaper product such as this, they're welcome. For many of these guys, it will mark one of their only cards. As a draft pick, they deserve their spot in cardboard history. Can a collector go wrong at a buck a pack for seven cards? I don't think so. Nobody's going to get rich busting this set but you can't go poor either. This is a release where secondary market is largely irrelevant because there's no real risk involved. However, there is room for improvement with the inserts. While they're there to increase perceived value, they deserve to look more distinct than most of them do. However slim, the chance of getting a superstar autograph does make every pack come with a “What if?" feel to it. Set builders should enjoy sifting through the cards and organizing them. 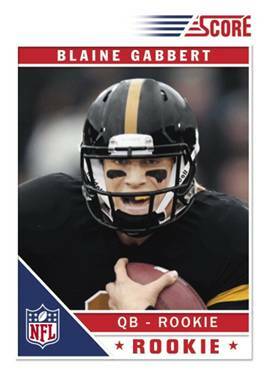 Knowing there's not likely to be a hit, landing a plain rookie card of one of the top rookie class is satisfying, but on a completely different level from a high-end product. As I mentioned, many of the basic inserts and many parallels do fall flat. But, for set builders, who cares about the inserts? One rookie card in every pack. One Glossy card per pack. 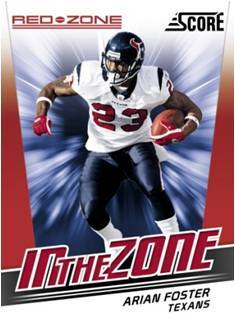 Other parallels (combined odds of 1:6): Scorecard, Gold Zone, Red Zone, End Zone, Artist Proof. 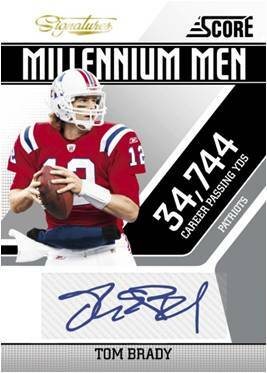 Three new insert sets: Millennium Men (1:9), Complete Players (1:9) and In the Zone (1:6). Autographs appear 1:4 hobby boxes and one per blaster case. The autograph checklist includes Tebow, Brady, Peterson, Bradford, Sanchez and Peyton Manning. 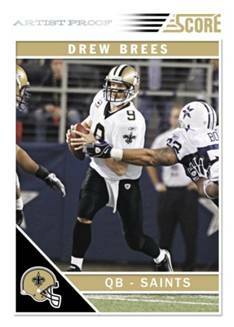 Among the rookie cards in the set are top-ten 2011 draft picks Cam Newton, A.J. Green, Julio Jones, Jake Locker ad Blaine Gabbert. For the price, not a bad product at all. I like the challenge of trying to complete the set with all the rookie card variations. 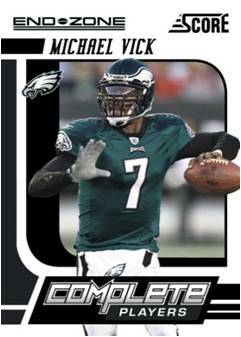 My first foray into football cards in over 20 years, and with the uncertainty of a season, this is priced right for me.